The U.S. Economy stands at the edge of the abyss while the financial MSM debates whether or not the FED will taper in the fall. Silly analysts. Serious cracks are beginning to appear in the economy while the precious metals have now seemingly decoupled from the broader stock market in a big way. The heartbeat of the U.S. retail economy is in serious trouble when we see this in the headlines, "WalMart Earnings Disaster Exposes a Collapsing Economy: Davidowitz." I have been watching Howard Davidowtiz for years, and you got to like the guy because he doesn't sugar coat anything -- just calls it like it is. He says that the real unemployment is closer to 14% because 75% of the jobs created so far this year are low-wage part-time jobs. Basically, Davidowitz says the U.S. Economy is collapsing. 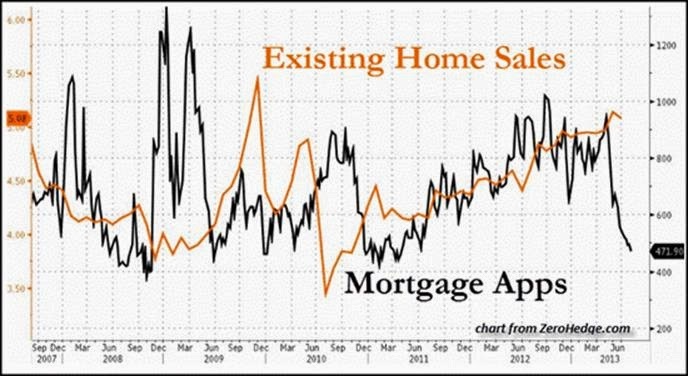 The whole idea of the FED's QE3 program was to keep interest rates down while stimulating the housing market and overall economy. Well, as we can see... both of these critical components of their QE3 program are rapidly disintegrating. Well, the U.S. Treasury TIC data came out today, and it showed what most of us in the precious metal community realized... and that is a broad sell-off. If we look at the table below, foreigners unloaded $56.5 billion of U.S. Treasuries and Bonds in the month of June. As you can see from the highlighted area on the top of the table, China & Japan sold the most at nearly $42 billion combined. 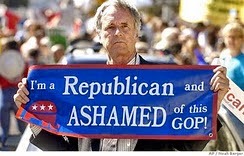 Furthermore, Hong Kong dumped $12.2 billion, the Oil Exporting Nations dropped $7.7 billion and Russia decreased its holdings by $5.4 billion. It seems as if the Eastern and Middle East countries are beginning to realize that the U.S. Treasury market may not be the traditional safe haven for much longer. 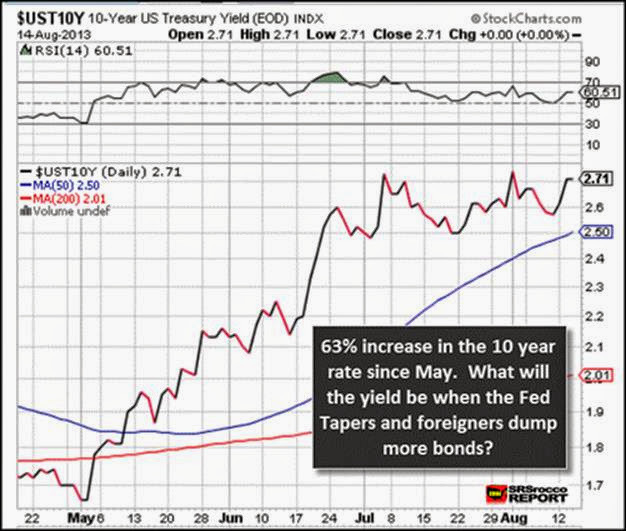 With this in mind, how is the FED going to taper its QE3 program at a time when foreigners are dumping treasuries and bonds by adding more supply to the market? This means that the FED will have to purchase MORE, not LESS treasuries if it doesn't want the interest rates to skyrocket. There's all this talk about the infamous Hindenburg Omen that signals a huge stock market crash on the horizon. However, I believe the U.S. has a much worse omen starring it in the face -- the Brontosaurus Warning. Not only are the broader stock markets down in a big way, so is the U.S. Dollar. Moreover, the U.S. Treasury 10 year rate is up 4 points when it should be negative and gold is up nearly $30 while silver is up almost 6% at $1.28. These indicators paint a very bad picture for the whole U.S. economy going forward. 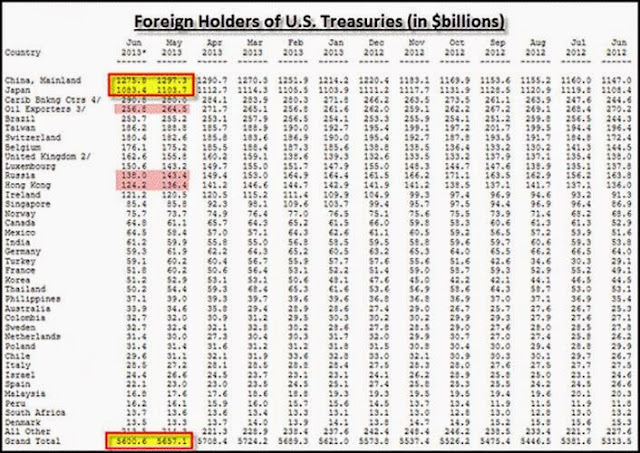 There is no way the FED can stop QE3 as foreigners are already dumping their bonds while buying a great deal of gold and silver bullion. At some point in time this whole situation will get very ugly forcing people to move into the historic safe havens of gold and silver. Only a fraction of the public are ready for what is coming. Most are still totally invested in paper assets that have no future... and the future is now here. Even though many in the East are buying gold and silver, those in the West are totally asleep at the precious metal wheel. According to the CityUK Fund Management Report, there are over $85.2 trillion in conventional assets under management. These include pension funds, insurance funds and mutual funds. 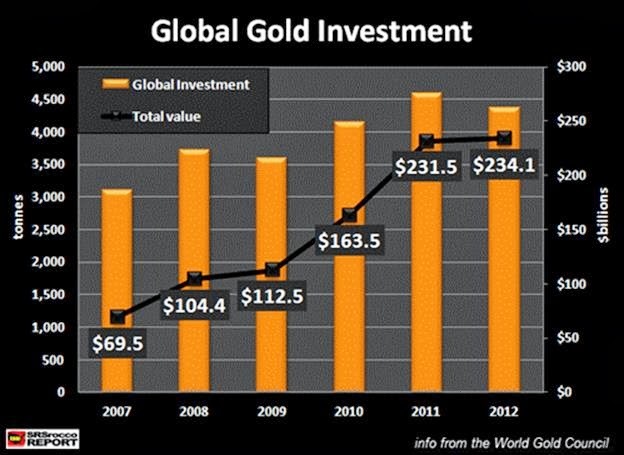 In 2012, total gold investment was $234 billion which turns out to be only 0.3% of world conventional assets. Now, if we look at the silver chart we can see just how little has been invested in the precious metal compared to gold as well as global assets under management. In 2012, for every dollar that went into gold, a little more than 3 cents went into silver. 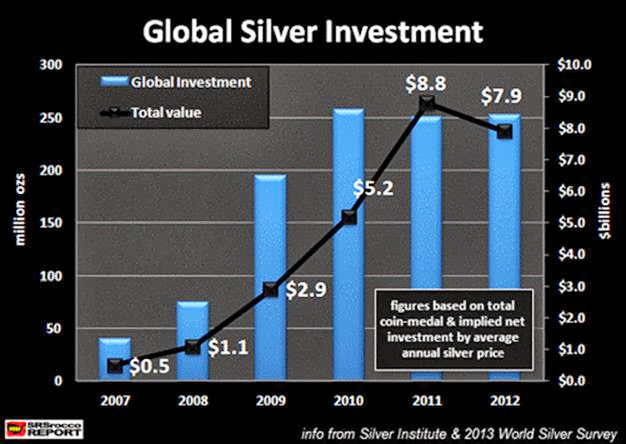 Total silver investment in 2012 was 3.4% of gold and 0.009% of all the money held in pensions, mutual & insurance funds. This is precisely why I believe silver will outperform gold in percentage terms in the future. Mike Maloney talks about this great wealth transfer into gold and silver in his newest video, "Hidden Secrets of Money -- Seven Stages of Empire." In the video, Mike explains the past 140 years of monetary history in ten minutes and also discusses why countries makes the same mistakes over and over again by what he labels as the "Seven Stages of Empire". Basically, the world goes back and forth between "quality money" and "quantity currency." The world is entering the last stage in which we shift back into sound money such as gold and silver and away from the worthless fiat Dollar. This is becoming more apparent as we see the huge amounts of physical precious metal buying from the East as well as the decoupling of their prices from the broader stock markets. Not only will the values of gold and silver increase substantially in the future, but they will also be an excellent investment due to the upcoming global energy constraints. 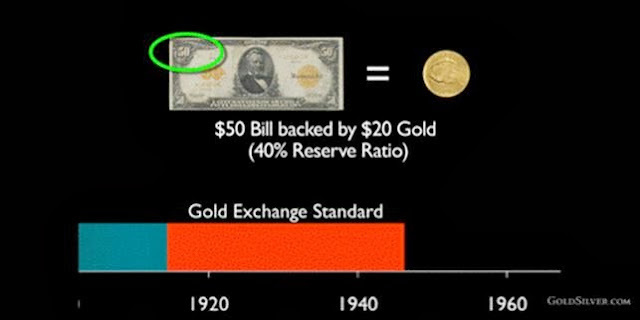 It's one thing to re-value gold and or silver to match the amount of fiat money in the world, and another to become one of the best investments while the value of most other asset classes will continue to disintegrate. Lastly, there is this huge misconception that the United States will become energy independent and a net oil exporter once again. This is being propagated by MSM and the U.S. EIA. Shale Oil & Gas will not be the energy savior for the United States. It has been provided a nice bump up in production, but that will be short lived. I explain more about this at the SRSrocco Report and how energy will impact the precious metals, miners and overall economy.